The GPS Operational Control Segment (OCS) has implemented security upgrades developed by Lockheed Martin to safeguard data and ensure satellite availability at the system’s Master Control Station and Alternate Master Control Station. The GPS Intrusion Protection Reinforcement (GIPR) technology refresh is part of the U.S. Air Force’s strategy to modernize the current GPS system and to ensure the availability of its services for more than one billion global military, civilian, and commercial users worldwide. According to Lockheed, the GIPR — described as a combination of hardware and software information-assurance solutions — advances the OCS’s ability to protect data and infrastructure, enhance the sustainability of the system, and meet future GPS operational requirements. Beyond data and system protection against cyber threats, GIPR resolves many equipment obsolescence issues and increases system maintainability with modern vendor-supported hardware and operating systems, according to the company. This is the second major “technology refresh” of the GPS command and control system since the GCS Sustainment contract was awarded. "The GPS Control Segment Sustainment (GCS) contract is vitally important to the sustainment of positioning, navigation, and timing services for our military, government officials and citizens," said Vinny Sica, vice-president of Lockheed Martin’s Space Ground Solutions. "A system this large requires continued security focus and that’s where Lockheed Martin’s information security capabilities are on the cutting edge." The Air Force awarded Lockheed Martin the GIPR engineering modification in 2013. The project included system design, hardware procurement, software development, network configuration design, and technical documentation. The Global Positioning Systems Directorate at the U.S. Air Force Space and Missile Systems Center at Los Angeles Air Force Base, California, contracted the GIPR upgrade. 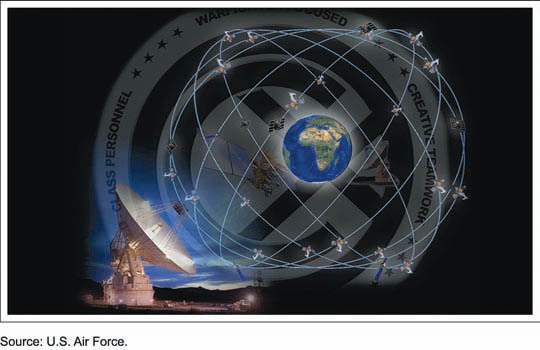 Air Force Space Command’s 2nd Space Operations Squadron (2SOPS), based at Schriever Air Force Base, Colo., manages and operates the GPS constellation for both civil and military users.